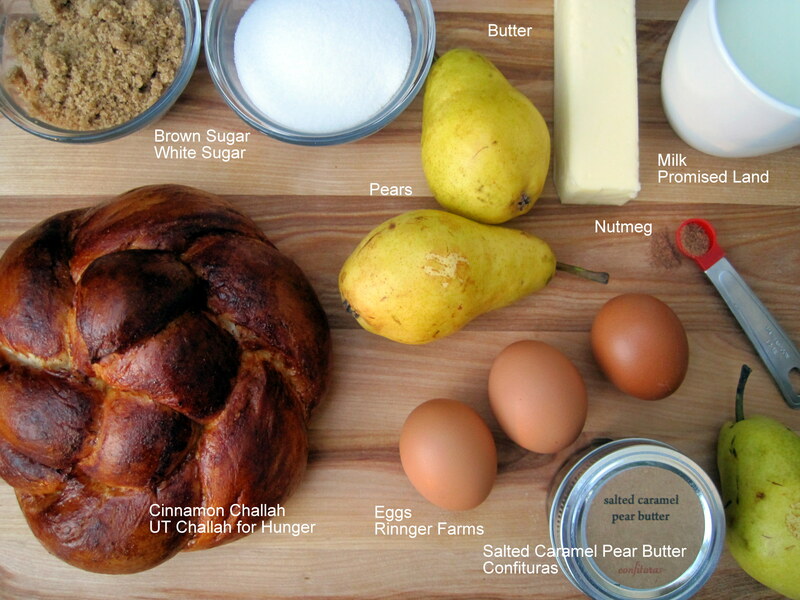 This entry was posted in Breakfast, Desserts, Dietary Restrictions, Fruits, Recipes, Shopping, Vegetarian and tagged Baking, Bread pudding, Butter, Caramel, Challah, Christmas, Cinnamon, Eggs, Nutmeg, Pear, Sugar, vegetarian. Bookmark the permalink. Looovvve Stephanie’s preserves. I’ve never baked with them either because, like you, I can’t help eating the whole jar as soon as I get it home. Her pear butter is a fav of mine but I’m looking forward to trying some of her new flavors. 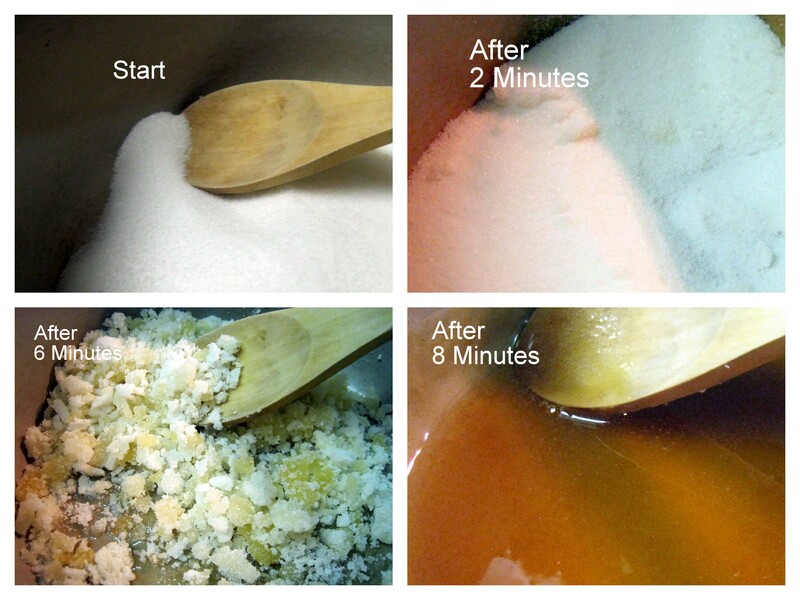 Your caramel sauce looks fantastic! THANK YOU. definitely adding this to my christmas dinner menu. That definitely sounds amazing. I’ll have to give it a shot. And if I can support a good cause at the same time, why not? That sounds awesome! 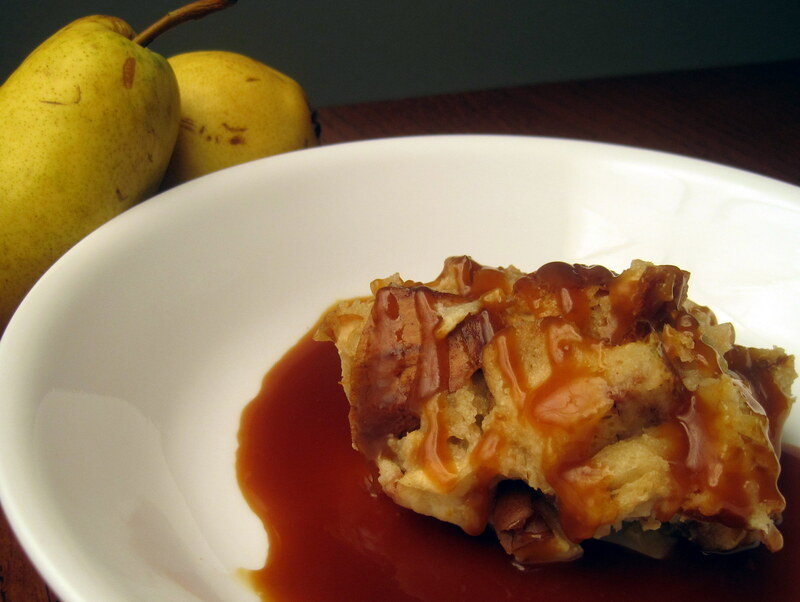 Can’t say I have had a good bread pudding before and I think this will be the one. This looks great. I really like the way you’ve organized your photos too, especially all the ingredient information you’ve included–that must’ve taken quite a few minutes in photoshop! Thanks also for showing us what the sauce should look like at certain times. I’m always worried that I’m doing something wrong if what I’m cooking doesn’t look delicious immediately. Love the blog, added you to our blogroll. Come take a look at some of our food reviews and let us know what you think!